World Mission Society Church of God is the church which believe in the Spirit and the Bride[Rev.22:17] in the age of Holy Spirit; Christ Ahnsahnghong and God the Mother. 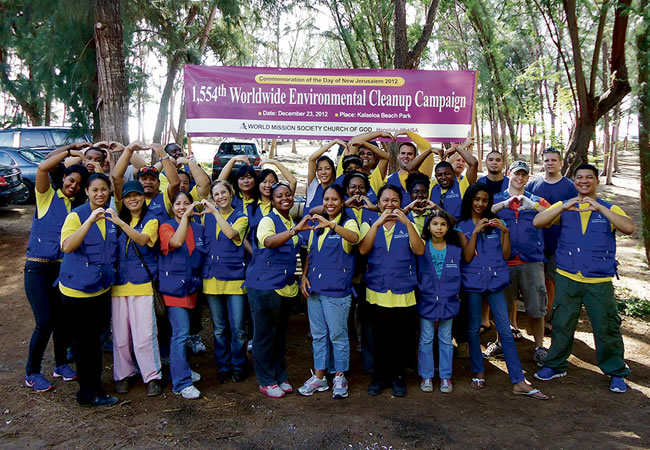 Members of the World Mission Society Church of God gathered at Kalaeloa Beach campgrounds Dec. 23 to conduct the church's 1,554th environmental cleanup campaign. The World Mission Society Church of God is an international organization that is comprised of more than 2,000 chapters in 150 countries. Photo by Wendy Johnson.